Still, heads turn, questions asked and eyes lowered in pitiful sympathies. But unlike a few years ago where I pretended I had nothing to do with her, I hold her hand tightly, letting her know that "we are in this together"
I harboured a strong jealousy and dislike towards my sister, Asha, all through our growing up years. She had our parents, and our grandparents too, dancing on their toes around her, leaving them catching for their breaths whenever they did find time for me, and even then they lectured me on 'on how to behave, when with her' instead of asking me about my day. "Asha, come here", " Asha, say Ma-aa", "Asha, Asha, Asha! ", but Asha wouldn't budge from her place despite the repeated callings and looked straight through us, focusing on the wall behind. At times, she would suddenly jump at me, snatching Rosa, my favourite doll, out of my hands, biting me, if that's what it took to get Rosa from me. My parents would rush to the bloody scene then, like peacemakers, asking me to forgive Asha and act like an elder sister even though I was two years younger to her. When it were my birthday and we went out for a family dinner, she would scream her lungs out, bringing the entire place down and as we had to rush back home without cutting my birthday cake I couldn't help but agree to the strangers' passing comments over my parents 'lack of control over their own daughter' and 'poor parenting'. Mentally subnormal the society cried out, making my mother cry and my father hide away at home ignoring his important peon position at Govt. of India office for days. While grandmother turned the kitchen into an experimental hub, rubbing salt, chillies, mustard, incense and what not to ward off the evil eye, grandfather was sure that this was a western syndrome that could be treated with isolation. Home tuitions for Asha, further angered me as I couldn't help but compare the luxury she was offered while I had to lug my heavy school bag and catch the early morning school bus, traveling 15 kilometers daily. It wasn't fair that she was still on 'E for Elephant' and I had to deal with subjects such as History and Science. Life is a struggle I had thought then, in my early adolescent years. That was until I heard the word 'Autism' for the first time. The walls were thin, of our poorly constructed government quarters. So thin, that even though my door was closed that fateful evening and the loud thunders and heavy winds kept rattling against my rusty windows, I could hear Dr. Chakraborthy's gruff voice. Wolfing down the hot onion pakoras and ginger tea, the doctor, a close friend of grandfather's who was now an Amreeka-returned was doling out his precious advice about Asha.
" This is no mental illness but a neurologically based disorder of development. Austism! Have you heard about it?" Putting a name to the strangeness that was associated with Asha, made me change in a way. Made me curious if nothing more. I started accompanying my parents to the white walled pungent smelling halls, to doctors trying to speak to Asha in mimicked tones, to the never ending train journeys, to discovering that there was a world outside our ignorant village in Bengal, to Asha flapping her hands and running like a chicken in the unknown streets of Delhi...to trying to find a cure. But there wasn't one. We tried our best, but there wasn't a silver lining found in the thick leaden hued sky. It was when our skepticism in the physical world around us and Asha's behavioral abnormalities had reached its tipping point, we were led to an Ngo that runs a special school for differently abled children. There, watching each volunteer engage with an autistic child with compassion, managing multifarious labours with such love and gratitude, I felt a pang of guilt. The journey I set on then, from 'we are different' to 'we are together', I should have made a long time ago, walking beside my elder sister, bearing few scratches in return. It burned me to cross that bridge, but it lead me to knowing her for who she really was. From never having looked up to my elder sister, now I wished desperately to see the world through her eyes eyes. wished to understand the meaning of her complex, intricate and unique ways of communication, wished to be a part of her story which I had denied all these years. 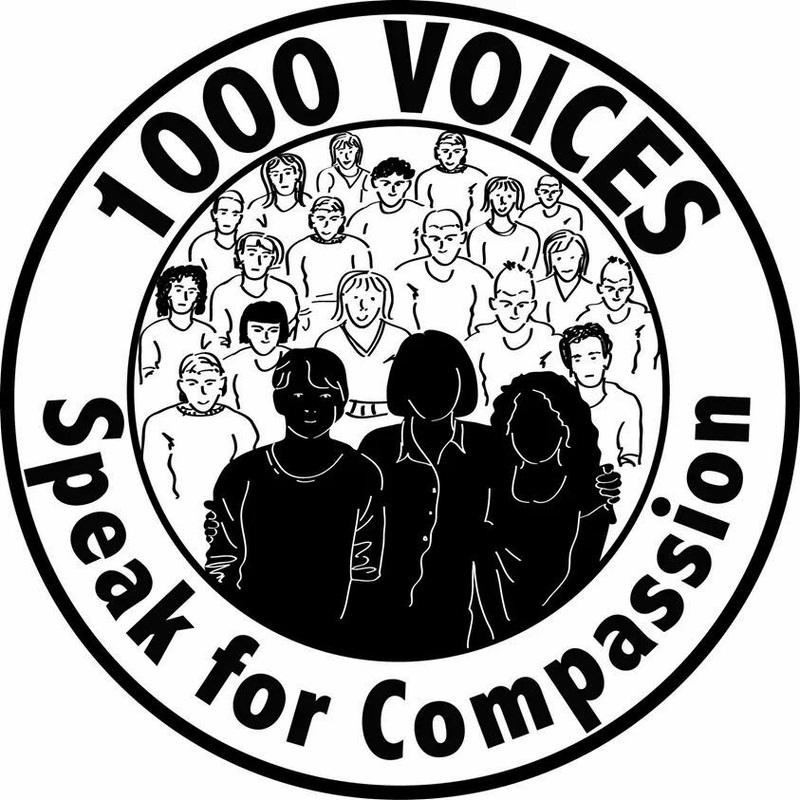 Written for #1000speak for Compassion. Thanks Naba. This was a fictional piece but I think for someone dealing with an autistic person in their family, compassion is so important. A touching story of how we all come to recognize our blinders and begin on the path of compassionate understanding. Beautifully narrated, Aditi. A work of fiction but told with such vivid detail and compassion! Thank you Roshni! And thank you so much for the #1000Speak initiative. It has been such a wonderful, blessed day reading and sharing stories on compassion! Feeling so gratetful! I hope this story speaks to people Elly and as you said make them see how important compassion is. Thanks! I love how delicately you have written about Autism. If enough awareness is spread among our society, parents won't to find it so difficult to take care of an autistic child. True Raj! We need more awareness about Autism in children, so that caregivers understand how important compassion is when dealing with this. So beautiful - and this - this line - "The journey I set on then, from 'we are different' to 'we are together'..."
This line is truly the quintessential essence of compassion. You have given a beautiful message through this very touching story, Aditi! A beautiful story, Aditi! I hope many more people read it and learn something from here that could help change someone else's life. Thank Shilpa! I hope so too! Love! not many people are aware of how delicate it is to handle an autistic child...people behave as if it is a disease...beautiful story Aditi! Very eloquently told,Aditi, in your signature style of love and compassion. The beauty in you as a person always comes through in your writing. Love! Oh thank you Shailaja! :) Love! Aditi, this is very very well written story.Autism is a state when more than medicines, love and understanding is required. Thank you so much Usha ji! Aditi, how beautifully you brought through that emotion of compassion.Often it is just understanding someone else is enough. Loved your post. Your story moved me to tears, Aditi. Compassion is just trying to understand the situation of the person standing in his own shoes. Its for each one of us. Essentially each one of us is different, compassion can make the world a happier place. Thank you FarZain for your beautiful words. True, compassion can make the world a happier place and I hope the #1000Speak initiative gives hope to the people around the globe that together we can make a difference! Oh this brought me to tears. I hope you have forgiven yourself. I think your behavior was probably typical for a sibling, younger or older. I am sorry a took so long for you all to find a diagnosis for your sister but I am glad that it change your perspective or her once you heard the word even though you were unfamiliar with what it meant. Excellent post! Totally missed "this is a work of fiction". Awesome writing! 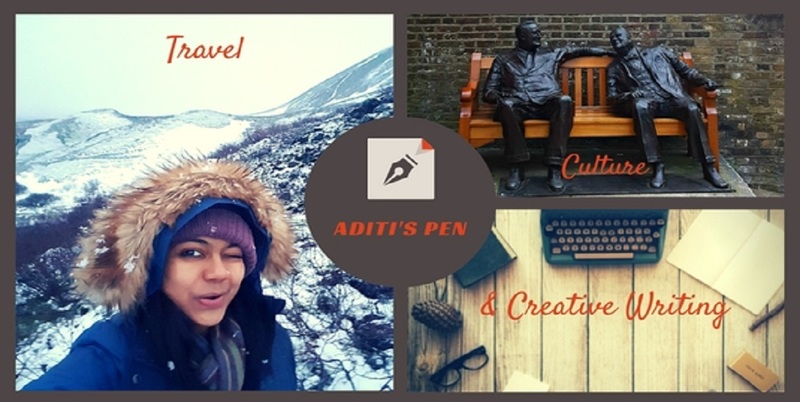 Beautifully penned, Aditi. A vivid portrayal of emotions, and human behaviour. Beautiful expression of the issues a family deals with. Autism and many such things are hidden away, Thank you for writing about it. Thank you Inder :) I really feel we need to speak more openly about Autism.